iTunes Radio, Apple's answer to Pandora, provides endless hours of free music streaming, but like other so-called "free" services, every now and then you're going to hear some ads. While you may not be bombarded with them, they can definitely kill the vibe when you're jamming to your favorite stations. Irradiate, and app from developers Zibity, is a free tool that blocks iTunes Radio ads from playing on your Mac and iOS device without the need to jailbreak. There won't be a silent period in music, as Irradiate, as they state, "intercepts the connection between iTunes and the server on which iTunes Radio advertisements are stored." This means that the ads never make it to your device, and skips them entirely for uninterrupted radio play. Since Irradiate is not hosted on the Mac App Store, you will have to enable the installation of apps from unidentified developers, then manually install it by downloading the linked ZIP file below and dragging it to your Applications folder. After you install Irradiate, open it and click on "Block Ads." You may need to restart your computer after the process finishes to make sure ads are blocked. 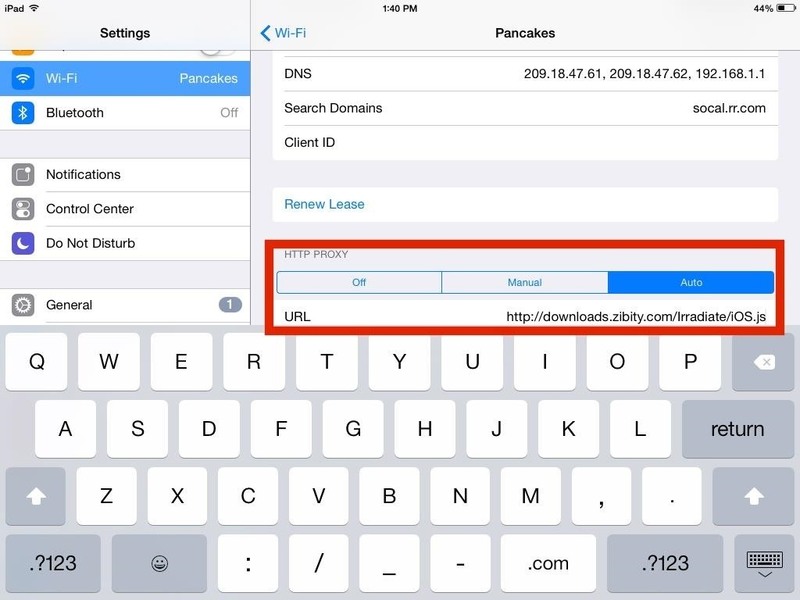 Unlike the Mac version, Irradiate on iOS is installed as a proxy, so all you have to do is copy this link and paste it in the "HTTP Proxy" section of your Wi-Fi network. To get to that configuration screen, open up your Settings app and tap the "i" icon next to the Wi-Fi network you are connected to. Once the proxy is copied over, you will need to restart your device. This will have to be done every time you connect to a new Wi-Fi network, so be sure to have the link bookmarked for future use. 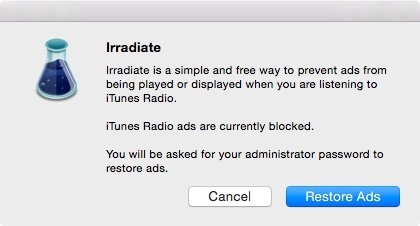 To restore iTunes Radio ads on your Mac, you will need to open up Irradiate again and click on "Restore Ads." On your iOS device, all you have to do is delete the proxy you entered. Irradiate should work as long as Apple doesn't change how iTunes Radio handles ads, but if you run into any issues, drop me a comment below.